Smart businessman or entitled egotist? 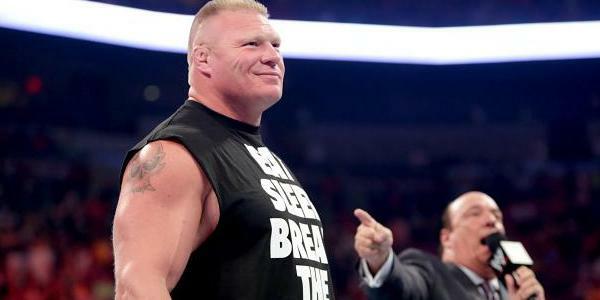 Brock Lesnar?s imminent return to WWE has got fans all excited again. Lesnar was easily the best thing about the product during WrestleMania season, putting in tremendous performances at the Royal Rumble, on Raw and at ?Mania itself. Fans were relieved when Lesnar opted to re-sign with WWE in March instead of going back to the world of MMA. The Beast?s return from summer vacation comes not at a major PPV or a heavily-promoted episode of Raw but actually a live event in Tokyo, Japan on July 4th. This is strange, because Lesnar hasn?t worked a WWE house show in over eleven years and notoriously hates wrestling on overseas trips. Even though the live event is being aired on the WWE Network, it?s still a bit odd to see Lesnar working an event like that against low-ranking Kofi Kingston. Is this a sign that Brock is mellowing with age and is now open to working more dates for the company or that Vince McMahon is more willing to splash the cash in order to sell out a big international arena? Odds are that it?s the latter. Lesnar is certainly no pushover and usually does whatever is in the best interests of him and his family. In the slightly-warped world of WWE, this has led some of his peers to speak out about perceived ?disrespect? that Brock has shown the business in the past. Are these weightless accusations or is there some merit behind their claims?